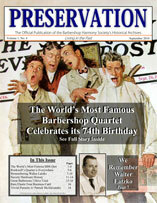 Home / About Us / History of Barbershop / PreservationBecome A Member! This manual is a helpful guide for historians of every level, Chapter, District as well as the International. Some of this information was gleaned from the 1987 edition of the manual and updated. We are indebted to two historians of the first order, Dean Snyder and Wilbur Sparks, for their service and contributions to this instruction manual. There is a great deal of information here. All historians can find something of use. It is our hope this will point you in the proper direction and be a constant reference. We are confident that, if the job is done right, your members will benefit from and appreciate your efforts of preserving our heritage. The historian is too often overlooked and considered unimportant in the life blood of the chapter. Truth is this job is one where a member can easily exceed expectations, gain a great deal of personal satisfaction and provide a wonderful service to the members past, present and future. The common misconception is to appoint or expect this position to be filled by one of the more veteran members. This is NOT a requirement and, truth be told, the chapter may be better served if this is done by a member with little or no barbershop experience. There is also no term limit to this position. The longer one person serves, the better he becomes at it and the better served is the chapter. The chapter historian often determines the priorities of the list above and customizes the job based on the needs of the chapter. He can make this position as much or as little work as he can handle. In a perfect world ALL of these areas need to be covered and there is no need to force oneself to do ALL of this without help. Don’t be afraid to delegate. In most cases, those who help will appreciate being a part of this and enjoy learning and helping. This is the easy part of the job. Just sit back and watch. Take note of who does what and when. Mentally record the names and faces and events. We all do this but as historian, the exercise takes on a new dimension as the memory needs to be accurate. Members need someone to be the point of contact for the FACTS. Often the memories fade and history gets revised by those who swear their version is the real truth. This is a continuing battle and being an accurate observer is key. To help with the accuracy of true facts is being able to confirm them and back up your claims. 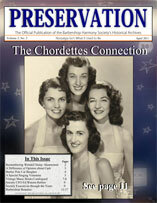 This is where creating and maintaining a chapter historical archives is very helpful. 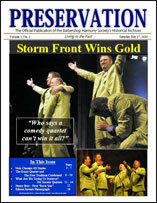 One should consider gathering Show Programs, Photos, Chapter Bulletins, Photos, Score Sheets, Photos, Awards and , of course, Photos. Having a place to keep this material is important. It is strongly suggested these NOT be kept in a garage or attic as they should be cared for in a climate controlled environment. File cabinets are best for organization. This seems to be obvious but you’d be surprised how many keep this historical material in less than ideal conditions and when it’s time to use them, they are ruined and / or useless. Of course, one of the toughest parts of this job is to be detail oriented and diligent. This is where the historian can shine. Maintaining this material includes IDENTIFYING the faces and dates of the items in the collection. How often does one see photos with no note of who is in the photo, the event or even the year it was taken. A good historian tries to record this information during the gathering process. It pays off in the end. Now that one has been observing and collecting it’s time to promote. 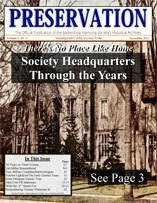 The historian is the perfect person to write articles for the chapter bulletin and be sure there is a historical presence in the chapter show program and website. The members always enjoy learning about the past and especially the story of their fellow members and what they did in the early years of the chapter. They also depend on the historian to write something about those who pass on. This is one of the honors of being historian. Displays at chapter meetings or shows is another great way all the collecting and researching can be put to use. Another joy is promoting and taking part in organizing a chapter reunion. This is always a special event and doesn’t have to necessarily be done in anniversary years divided by 5. Of course, the big ones (25th and 50th) are a MUST. One of the end results of all the work of a successful chapter historian is increasing awareness and educating the members. It’s important to show there were members (and wives) who came before and made all this possible today. Today we have a tendency to live in the present and near future. Looking back give us all a stronger sense of purpose and focus. A chapter historian can accomplish much and serve today’s members, while honoring those who went before, in a very special way. 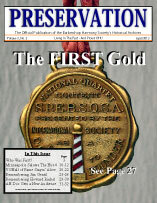 The anniversary of a barbershop chapter is an important milestone and it should be celebrated in GRAND style. This event gives the chapter many unique opportunities and convenient excuses to promote the chapter internally as well as externally. There are several valuable payoffs to be gained. Imagine how many man hours have been worked and how many songs have been rehearsed and how many people have been entertained throughout these years. The results are remarkable and the journey has been unique. It’s sometimes important to stop and realize all you have accomplished. It’s also vitally important to pay tribute to those who made it possible for you to be singing in this chapter today. Some chapters have not survived, yours has – why? Because of the dedication of those who stood on those risers in years past. From the Riser Guys to the Coffee Maker to the Music Librarian to the Board Member and the Director; all have served this chapter through the years and it wouldn’t be what it is today without them ALL? Here’s your chance to say thanks and tell them their time wasn’t wasted as you are carrying on their mission. It’s also a chance to let the current membership know this organization is more than “a bunch of guys singing” each week. It’s much bigger and more important than that. So, here’s a list of some ideas and tasks that should be considered in making this a successful once-in-a-lifetime event. Name a chairman, select a committee, set a date and establish a budget. Involve membership with committee – define tasks to accomplish the items below – set deadlines – follow up. 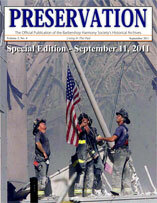 Promote to active membership via the bulletin, announcements and your website. Gather historical material – Bulletins – Photos – Recordings – Rosters – Oral Histories – Awards. Organize and determine best way to use this material. Locate and invite all former and inactive chapter members by PHONE – follow up by email. Announce in chapter bulletin – website. Run articles in chapter bulletin prior to event and recap in following bulletin. Announce via the Harmonet and SAI SING and other BBS Yahoo Groups. Publicize event to local press – invite local representatives (Mayor. etc.). Get Proclamation from Mayor’s office. Get Proclamation from Governor’s Office. Use this special as a guest night. Give up ONE full rehearsal for this special event (one every 50 years is all we ask). Create Name Badges with LARGE letters and returning member’s claim to fame. Have SHORT speeches by current chapter leaders and other presenters. Play edited montage of past performances on big video screen. Show photos and FACES of past members on big screen. Have a special guest quartet perform to show guests how it’s done and attract current members. This is a celebration. Include finger foods and refreshments. Invite women’s auxiliary to decorate hall. Establish and name a chapter historian to manage archives, collect new material, observe and collect memorabilia and write articles to chapter bulletin. Set date for the NEXT reunion. Recognize key member(s) who organized and ran the reunion and present award(s) at chapter banquet. 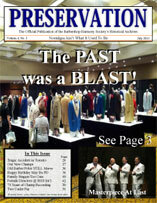 Membership better informed about history of their chapter. The locals will be educated as to the chapter’s place in the community. Creates more esprit de corps among members and families past and present. Gives the active members a better sense of pride in their organization. Goes a long way toward showing appreciation and recognition of the members who came before. Shows current membership their work and efforts will not be forgotten. 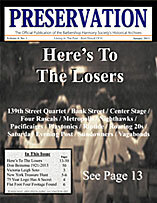 Celebrate your past … look toward your future … and get some local media exposure. The urge to mark anniversaries extends to all corners of our culture. The good people at Hallmark make a fine living reminding us that a first wedding anniversary is “paper,” and birthdays always deserve a card. We make public holidays of commemorative anniversaries, such as Independence Day, Victoria Day and Canada Day. The current flood of chapter anniversaries is the legacy of the Society’s rapid postwar expansion; we added 235 chapters between 1947 and 1957—so you can see why there’s been so much celebrating going on! Heritage in our communities is a great public relations asset, and your fiftieth anniversary is perhaps your best opportunity to exploit it for recognition. Get the most mileage from your anniversary: make it a tool for both building member pride and for involving non-members in your organization. Our word “January” is derived from the Roman god of doors and gateways, Janus, who had two faces looking in opposite directions. During his festival month, we look backwards on the past year and forward into the new. Your anniversary is a gateway, too, when you reflect on the past accomplishments of the chapter, and look forward into the future. We don’t want to live in the past, though. Rather, we want to use the story of where we came from to explain where we are today, and to invite people to help us shape the future. We want to present our rich heritage as a foundation for our vibrant present, and a springboard to an exciting future. One good story is to compare and contrast the world today with the world of 19xx when the chapter was founded. Search your public library’s newspaper archive for a few notable events that took place in your town fifty years ago, the advertised prices of a loaf of bread and a soda and a new car, and compare to the world today. Show how your chapter fit into the lifestyle of that day—and of today. The images and terminology you use to tell your story will determine the kind of message you send. If the only images you use are “olden days” and today’s super-seniors, that’s how you’ll be perceived—as dated. It’s important to offer a variety of images that convey youth, strength, vitality and cultural diversity. Have you ever looked at anniversary announcements in the newspaper? Typically, they contain two photos: one of the couple on their wedding day, and another of the happy couple today. What does this tell us? Audiences love to compare “before” and “after.” Photos that compare and contrast the world today with the time of your founding provide an immediate point of reference. A founding member may still be a part of your chapter. 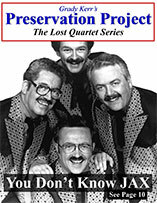 Dig up an old quartet picture of him, along with a current performance shot, and combine them in a montage. Even better, show him singing with his son or grandson, to establish the link into the present and on into the future. 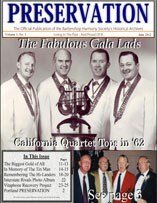 Many chapters celebrate their anniversary with a gala show and anniversary party. It’s a great way of leveraging your historical asset into show-biz value. “Fifty Years of Harmony” is a good hook, with lots of staging and repertoire possibilities. 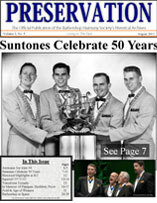 The Society-published “Heritage of Harmony” script can be readily adapted to fit your chapter’s anniversary, too. An anniversary show is golden opportunity to invite back all the past members who no longer sing with you, as part of a “reunion chorus.” Invite them to attend just three rehearsals of this special group, to brush up on some repertoire gems from years past. 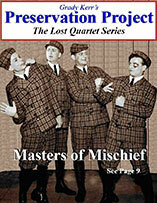 A classic “parade of quartets” would be particularly appropriate for this kind of show. Keep in mind, though, your obligation to provide top-quality entertainment to your audience. You might strike a balance between singing quality and historical tribute by arranging your parade of past quartets into a medley of some sort, with short feature spots filled by the quartets of yore. Connect your past with your future by involving young singers, from local college and high school choirs, in your show. Your heritage of harmony extends into the future when you help youngsters discover the joy of music. “Teach The Children To Sing” is particularly appropriate here, tying your commitment to youth outreach into your long-time commitment to local charities. Contact your county or city historical society to discuss an exhibit of chapter and quartet memorabilia as an expression of leisure activities in the area. Many libraries and civic spaces offer exhibit space for community organizations, too. 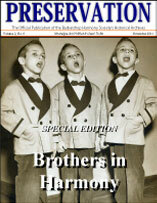 Donate a copy of the Heritage of Harmony songbook to the library. Ask the Mayor’s Office to recognize the anniversary with a proclamation of Harmony Week. Find out what other organizations (especially arts, education and social services) are celebrating anniversaries. Combine forces to present programs touting your mutual interest in the community. Watch the newspaper and classified ads for 50th wedding anniversaries. Invite the couples to your show at a special rate—free! Serenade them with a special love song for golden anniversaries. 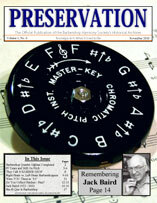 Your anniversary is a natural hook for helping you reach out to music educators and young singers. Point with pride to the many Barbershoppers in the area who are the product of local school music programs. Show that music is a lifelong recreational activity, but it must be nurtured at a young age to instill the skills and desire. 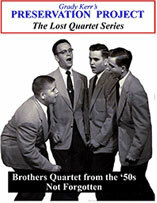 Sponsor a quartet in the MBNA America Collegiate Barbershop Quartet Contest. Send students and teachers to Harmony Explosion camps, Harmony College, or district school. Establish a scholarship funded by your fiftieth anniversary show. Invite young singers to appear on your show. 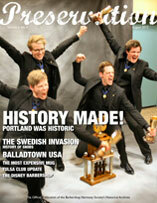 Publicize these activities with the phrase, “celebrating the next fifty years of barbershop harmony.” Be sure to get photos and press coverage of these events, with young singers alongside older men. 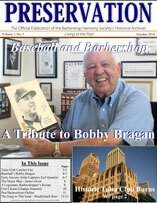 The Society Archives houses the world’s largest collection of barber shop memorabilia. 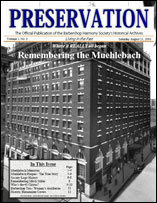 We consistently receive artifacts, recordings, papers and photos from multiple sources. While we ALWAYS want to give historically important items a good home, however some items offered are already in the collection. In many cases we suggest the donor offer their items to their chapter, district or local library. Our space is limited but we do everything we can to help the donor by accepting their memorabilia. We ask you contact us first and let us know what you have to donate. We’ll make a determination quickly as to whether or not we can accept the material. 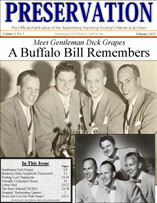 “The Society Archives collects, preserves, and displays the heritage of the Barbershop Harmony Society and the art form it espouses (the four-part male close-harmony singing style known as barbershop harmony) to enhance the appreciation and understanding of their past, present, and future”. Papers of the founder, past presidents, historians; origin and development of the Society at large; genesis of special programs. Interviews with past presidents, quartet champions, arrangers, personal music background, “barbershop career”, involvement and views on significant Society events, thoughts on direction of style and Society. Material related to International and Midwinter, background planning, art work, programs, score-sheets, tickets, daily bulletins, badges, souvenirs, scrapbooks, trophies and prizes, media coverage, etc. 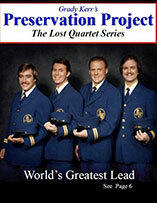 Costumes worn by International quartet champions clothing, accessories, traveling cases, signature props. 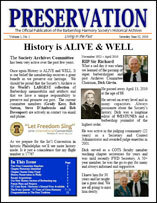 Material related to districts- histories, spring and fall convention programs, score-sheets, bulletins. Records, cassettes and compact discs of convention performances, society quartets, champion quartets; selection of Edison wax cylinders. Published and unpublished papers, articles, master’s theses and books written on various aspects of barbershopping and the Society. 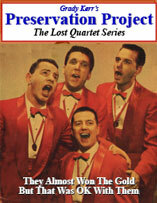 Material related to a variety of topics: group subjects – past presidents, medallist quartets; topics from barbershop ballet to racial integration to pre-Society quartets; videos- quartet performances, convention highlights. Prints and transparencies of subjects related to above. 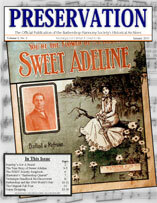 Over 750,000 pieces of sheet music and 113,000 titles relating to many styles of music from the 1860’s to the present day.